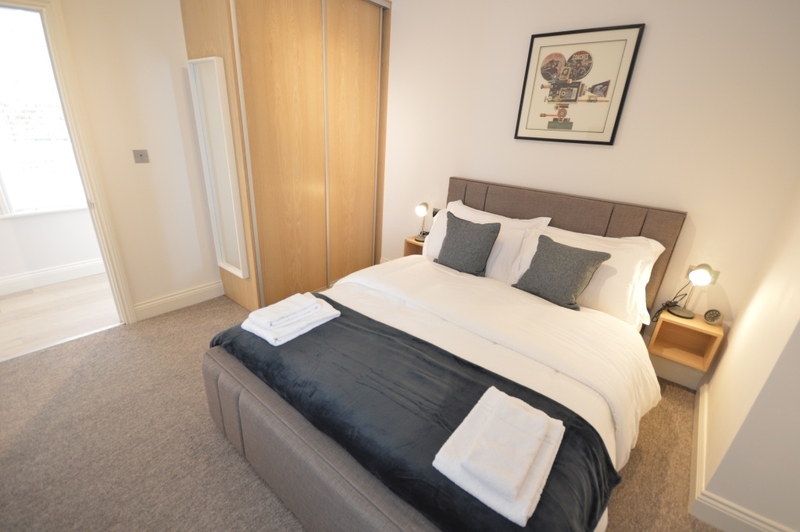 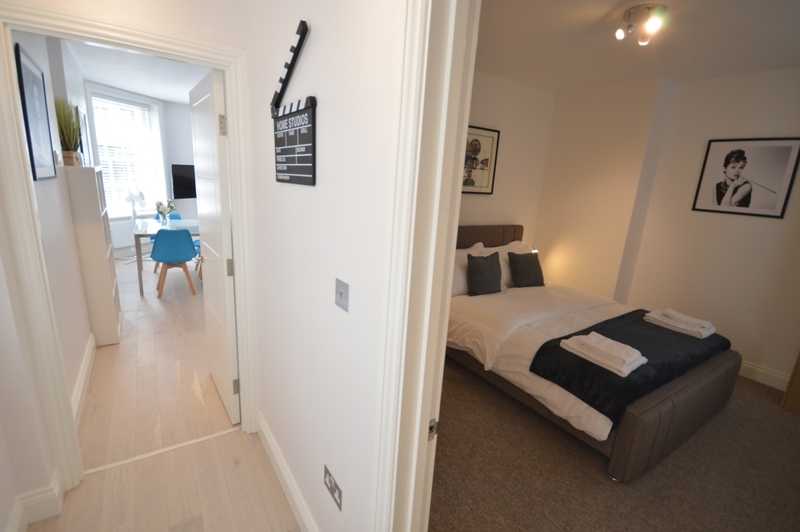 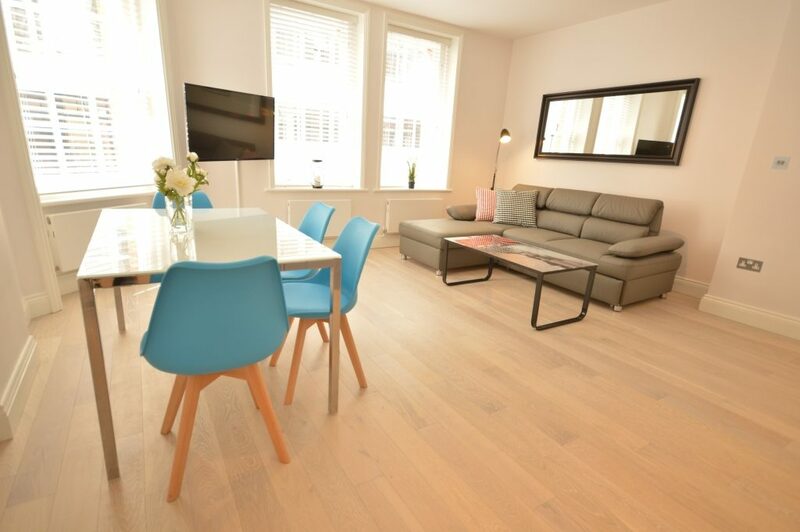 This brand new luxurious one-bed apartment is on the second floor. 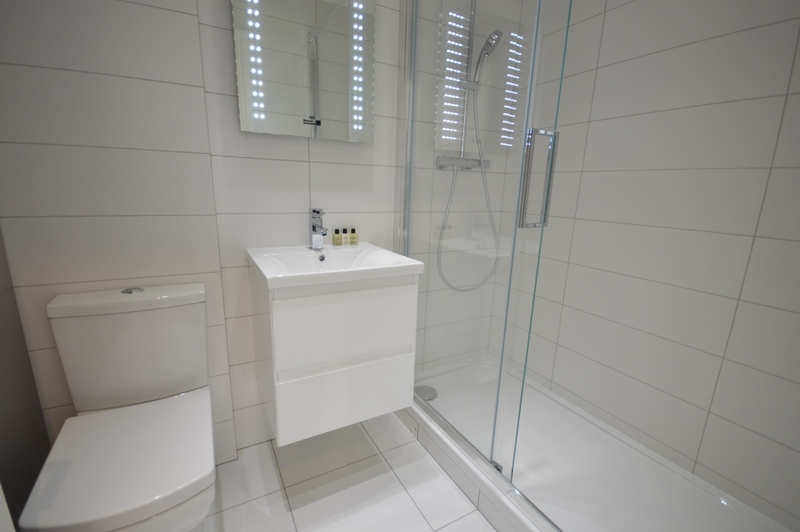 Newly created and decorated in modern neutral colours. 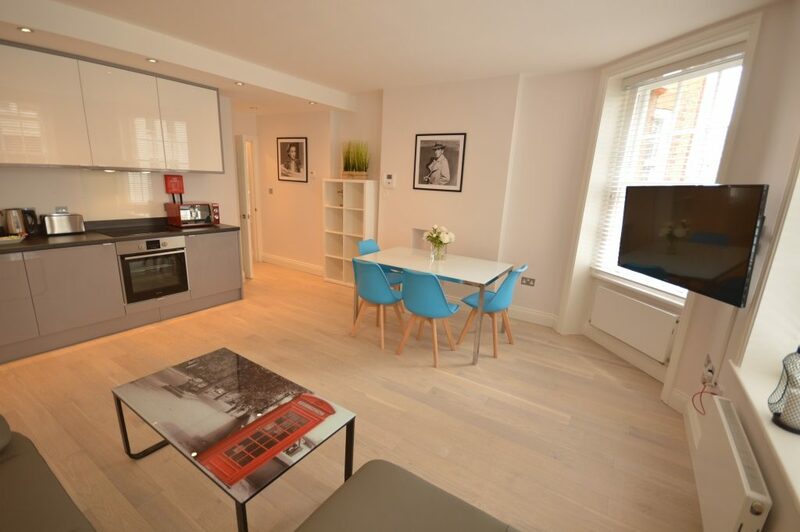 This apartment has one king size bedroom and one bright and spacious kitchen/lounge. 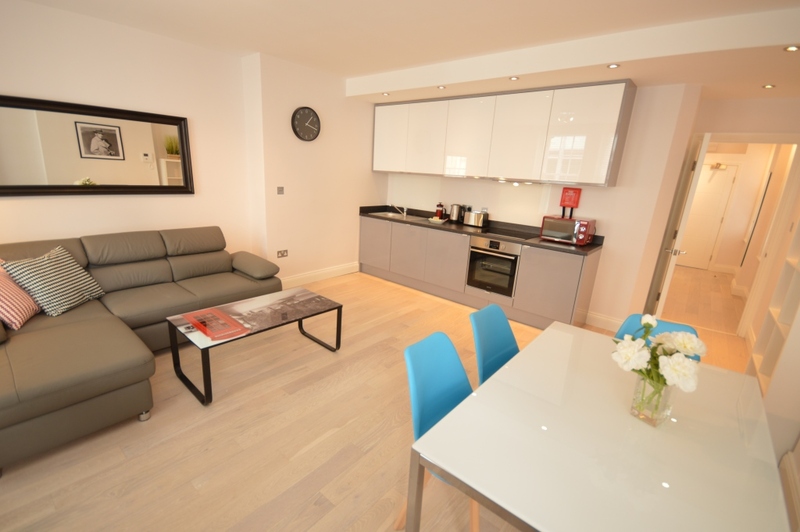 This area contains a flat screen TV and a 2-seater sofabed.